In the case of female breast cancer, a breast-conserving excision is often desirable. This surgery is based on preoperatively gathered MRI, mammography, and sonography images. These images are recorded in multiple patient positions, e. g., 2D mammography images in standing position with a compressed breast and 3D MRI images in prone position. In contrast, the surgery happens in supine or beach chair position. Due to these different perspectives and the flexible, thus challenging, breast tissue, the excision puts high demands on the physician. 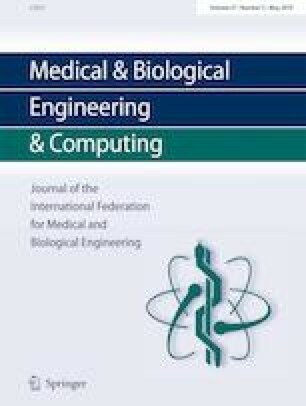 Therefore, this publication presents a novel eight-step excision support workflow that can be used to include information captured preoperatively through medical imaging based on a finite element (FE) model. In addition, an indoor positioning system is integrated in the workflow in order to track surgical devices and the sonography transducer during surgery. 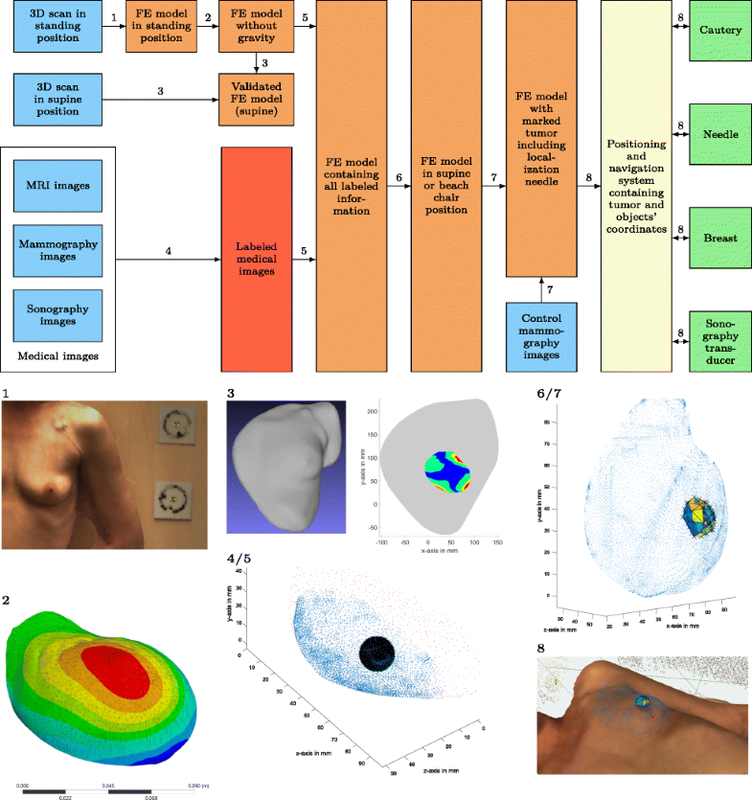 The preoperative part of the navigation system–supported workflow is outlined exemplarily based on first experimental results including 3D scans of a patient in different patient positions and her MRI images. Finite Element model based navigation system supported workflow for breast tumor excision is based on eight steps and allows inclusion of information from medical images recorded in multiple patient positions. Written informed consent was obtained from all individual participants included in the study in accordance with the approval of the Ethical Committee of the Faculty of Medicine at the University Hospital Tübingen, Germany.